When I book my wedding with Erica Blossoms, what does it include? a bouquet and other flower accessaries so beautiful they will leave your guests speechless! Just a short note to say a big THANK YOU for ensuring the flowers for Meagan and Glen's wedding were perfect. All flowers, bouquets and table arrangements were so beautifully arranged and fresh. You should know you received many congratulatory comments from both the wedding party and guests, a wonderful job. It was such a hot day but all flowers looked so beautifully fresh and we were fortunate in being able to enjoy them for a week following the Wedding. Just beautiful! We will happily reccommend you for your fine work. 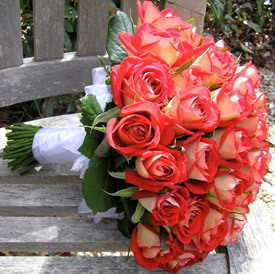 A bouquet is typically a ‘bunch of flowers’ that the recipient can place in a vase. 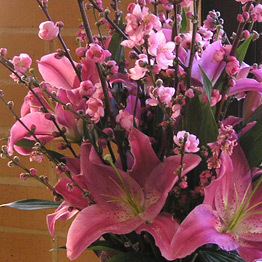 A bouquet's stems are normally long in length requiring a medium to tall vase. 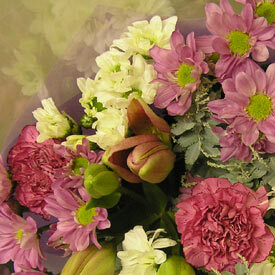 A posy is also ‘a bunch of flowers’ but the flowers have shorter stems and are more tightly put together. 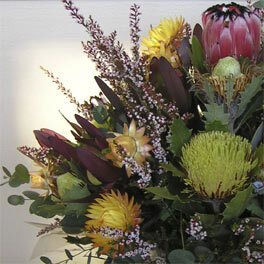 Bouquets and posies can be bright and colourful, or soft and pastel in colour. An arrangement is flowers in a container, such as a vase, ceramic pot, basket, or bowl. The container choice is varied and wide and the choices available can be discussed when ordering. Arrangements are suitable to give when the recipient has no vase. e.g in hospital, or in an office. What happens if I am not happy with the condition of my flowers? 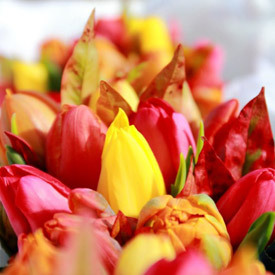 Although we always make sure the flowers we purchase are the freshest and best quality money can buy, our customers need to remember that flowers are a perishible item, and we cannot always control outside influences such as weather and delivery. 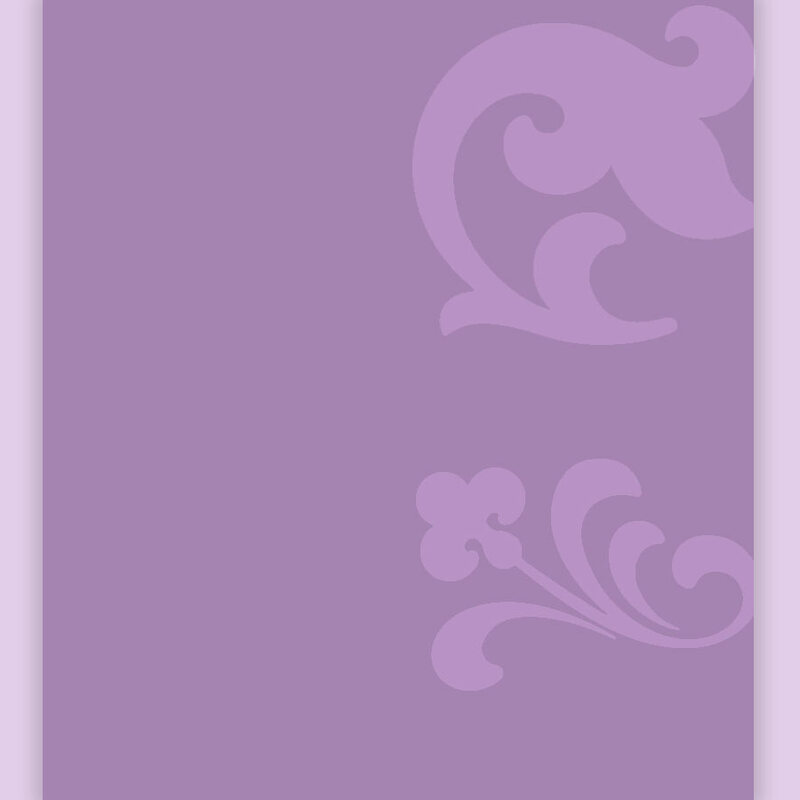 But... at Erica Blossoms we are confident with our products and offer a guarantee. Erica guarantees to use only fresh, quality flowers. 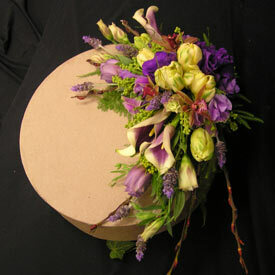 She personally hand selects all of the blooms that go into each arrangement and bouquet. Follow Erica's flowers care tips and use the sachet of Flower Food that is delivered with every order. By following the instructions, we hope that you will gain extra life and pleasure from your flowers! If you are not completely satisfied with your flowers, contact us within 48 hours and we will replace them for you (please note conditions apply). Customers can pay by cash (COD), Cheque, or Direct Bank deposit.